What is an FHA 203k Rehabilitation Loan? The FHA 203k Rehab Loan or the Federal Housing Administration’s 203k Rehabilitation Mortgage Insurance Program is a loan created by the Federal Housing Administration to help homeowners with the rehabilitation, renovation, and repair of their homes. 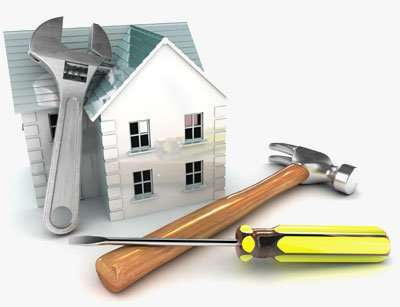 A traditional FHA loan does not cover the cost of repairs incurred when purchasing a new home. An FHA 203k, on the other hand, combines purchasing and repair costs into a single mortgage. The FHA 203k is good news for prospective buyers who are looking to buy cheap property and then convert it into the home of their dreams. What Are the Advantages of an FHA 203k? As stated earlier, the major advantage of an FHA 203k is that it allows you to buy dilapidated properties that you wouldn’t normally be able to afford, and finance the repairs and renovations on the home. Another advantage of this type of loan is that they require low down payments, resulting in feasible interest rates. Since the FHA 203k combines the cost of everything required to complete the purchase and repair of your home, the life of the loan can be extended for as long as the renovation continues. In addition, the FHA 203k offers an option where borrowers can add the cash needed for any extra repair or renovation into the existing loan balance. This option allows the borrower the liberty of choosing between remodeling a home or moving. What are the Types of FHA 203k loans? There are two types of FHA 203k Rehab loans; streamlined loans and standard loans. Such types of loans do not give you the liberty to add value to your home. You cannot add a second floor or an additional room to your home under such loans. Streamlined loans cap at $35,000 and allows to you to carry out repairs and replacements. For instance, you can replace your carpet, your existing air conditioning unit, put in new windows, or upgrade your existing kitchen. These loans cap at $55,000 and allow you to add value to your home. This means you can carry out home improvement projects such as building an addition to your house, building a basement, or even the addition of swimming pools and lawns. The renovations will be approved and overseen by an appropriate consultant. What are the Eligibility Requirements for an FHA 203k? In order to be eligible for an FHA 203k, the borrower must have a good credit score. The FICO defines their scores between the ranges of 300 to 850. To qualify, the borrower must have a FICO score of 620 or above. The debt-to-income ratio is the sum of all your debts divided by your total income. An FHA 203k is granted only to those borrowers whose debt-to-income ratio is between 40 and 45 percent. If you would like any more information about FHA 203k Rehabilitation loans, don’t hesitate to contact us.